The fact is that everyone needs fats. They assist in nerve transmission, nutrient absorption, maintaining the integrity of cell membranes, and much more. However, when consumed in excess amounts, they can contribute to weight gain, obesity, certain types of cancer, and heart disease. It is, therefore, important to understand that not all fats are created equal. Some can promote to one’s health positively (like the beautiful avocado pictured to the left) while others can cause various health problems. The key to staying healthy is to replace the bad with the good in one’s diet. Everything would be so simple if weight loss problems could be solved by eliminating fats from our diets. However, we cannot live without them. They are a critical part of a healthy diet because they keep our skin soft, provide essential fatty acids, are a great source of energizing fuel, and deliver fat-soluble vitamins. That said, it is easy to get confused about which fats are good and which ones are bad, how to avoid dangerous fats, how much of them to consume, and the role played by omega-3 fatty acids in heart health. For many years, people have been urged to banish fats from their diets whenever possible, which is why many people have switched to low-fat foods. However, this shift did not make people healthier, probably due to the fact that they cut back on good/healthy fats as well as bad fats. Coming mainly from fish, seeds, nuts, and vegetables, the good or healthy fats differ from the saturated/bad fats by having fewer hydrogen atoms connected to their carbon chain. Good fats are not solid; rather, they are liquid at room temperature. They are broadly categorized into two: polyunsaturated and monounsaturated fats. Examples of polyunsaturated fats include sunflower oil, corn oil, and safflower oil. 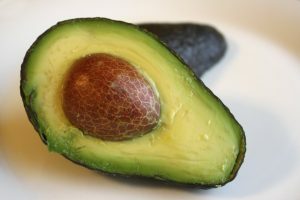 They are essential fats, meaning that they are important for normal body functions; however, the body cannot make them. Therefore, one must get them from food. They are used to build the covering of nerves and cell membranes, and are also needed for muscle movement, blood clotting, and inflammation. In addition, taking polyunsaturated fats in place of highly refined carbohydrates or saturated fats improves the cholesterol profile and reduces bad LDL cholesterol. It also lowers triglycerides. Some great sources of omega-3 fatty acids include canola oil, walnuts, flaxseeds, and certain cold-water fish such as sardines, mackerel, and salmon. Monounsaturated fats, on the other hand, have a single carbon to carbon double bond. They have fewer hydrogen atoms than saturated fats. Good sources of these fats include avocados, canola oil, peanut oil, olive oil, sunflower oil, and most nuts. The Institute of Medicine recommends using monounsaturated fats along with polyunsaturated fats to replace trans and saturated fats. A byproduct of a process called hydrogenation, trans fats are the worst type of dietary fats. This process turns healthy oils into unhealthy solids to prevent them from becoming rancid. For example, when vegetable oil is heated in the presence of a heavy-metal catalyst and hydrogen, hydrogen atoms combine with the carbon chain to turn the oil solid. Eating food rich in this nasty stuff reduces the amount of good HDL cholesterol and increases the amount of bad LDL cholesterol. In addition, they can create inflammation, which is linked to diabetes, heart disease, and other chronic conditions. According to dietary guidelines recommended by the U.S. Department of Agriculture, adults should get 20 to 35 percent of their calories from fats. At a minimum, they need 10 percent of their calories to come from fats. The problem, however, is that a typical adult diet contains a lot more than just 20-35%. In fact, roughly 24 to 40 percent of a typical person’s calories come from fat. This is mainly because food prepared with fat is so tasty and is widely available. Your best bet is to take stock of what you’re eating, and replace the bad with the good, and stop eating processed foods from those middle aisles in the grocery store!